The M.Marcus Project Hardware Avon Door Handle on Bathroom Plate Polished Chrome has a classic straight shaped lever and would be suitable for many different applications throughout your home. The backplate has a simple design which nicely compliments the lever style. 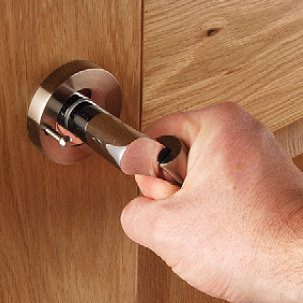 This handle has a polished chrome finish.